A year ago today we were due to catch a train to Gatwick airport, all of 50 miles away. 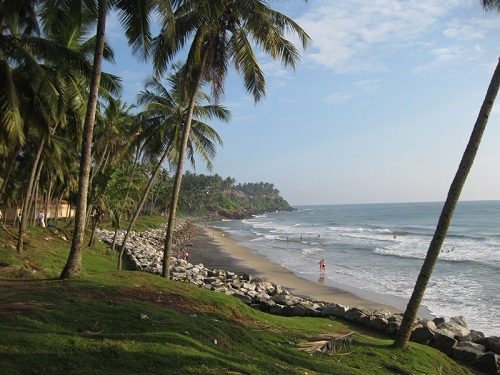 We were booked into a hotel so we could catch an early flight to South India. Nothing was going anywhere. I mean NOTHING. We were stranded. No one was leaving or going. No trains, no cars, no buses, no taxis, flights were still grounded at Gatwick. No “Getaway Cars”. I eventually got through to the lovely people at Emirates, they switched our flights, free of charge, not something they had to do. So we walked to the allotment where the salads and vegetables were buried beneath a foot and a half of snow, and then down to the beach. We got talking to the head chef of Azure, a beach restaurant and bar, who was facing cancellations; the kitchen wasn’t open, as an hospitable Egyptian he made us coffee, and we swapped tales of visits to India. A few days later attempt number 2 was made, the hour journey was doubled as we took 3 trains, but eventually we flew the following day landing in the warmth of Trivandrum and moving swiftly to the beach. 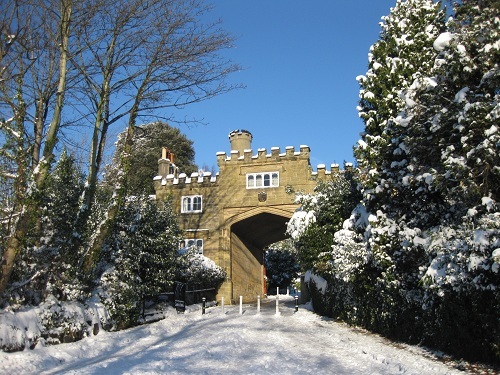 We just don’t do snow here on the south coast! And a year later? 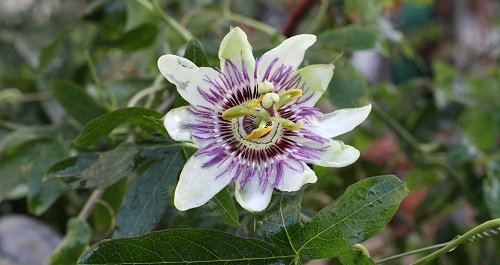 Take a look at this Passion Flower, the photo was taken this morning, unbelievable! It’s a strange world isn’t it! That beach is calling me….beautiful. 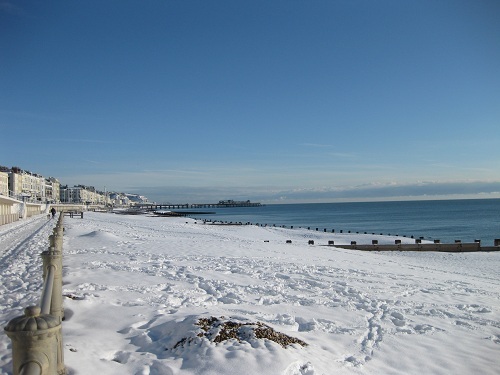 It was fun walking on the beach in the snow, strange but fun! 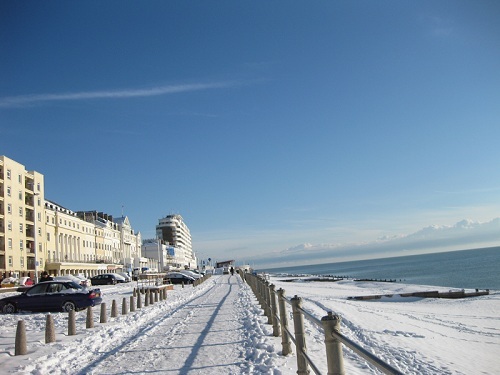 Snow on the beach? That’s something I’ve never seen! 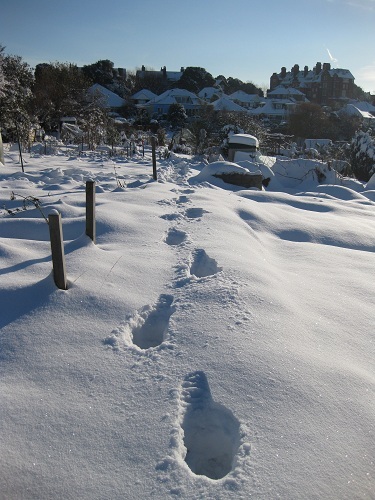 Those deep footprints in the snow I remember so well living up North. Now, sunny every day…. and that flower is gorgeous! Nothing like escaping to warmer climes when home is being battered by Old Man WInter! Well, until the trip home. I’ve been a “snow bird” some Winters, escaping to Florida or the Caribbean for a week or 2. On the flight home, the landscape goes from lush green to brown to spots of white to a white blanket. Not for you this year, though, eh? I was actually in Bordeaux for a Wine Dinner…half the people who had booked couldn’t get there – including one of the winemakers from Spain! I’m looking forward to seeing pictures of your beach in the snow – the ones I used were snapped with the pocket camera so aren’t very good! Didn’t it! Mind you it was a bit tense while we tried to sort out the flights, but after that it was playing in the snow 🙂 I’ll pop along and take a look at your archives …. Bring on the weather! 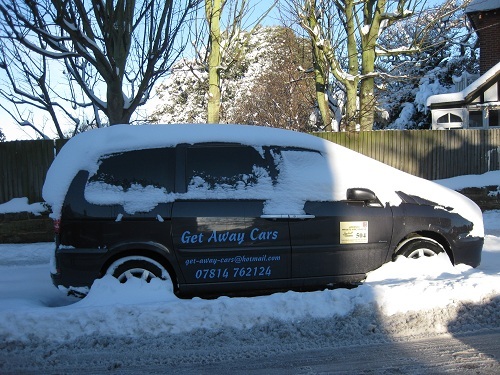 I’m ready; my car has winter tyres fitted. Last year we drove everyone to Three Bridges station because our local roads never cleared of snow until the sun melted it away. 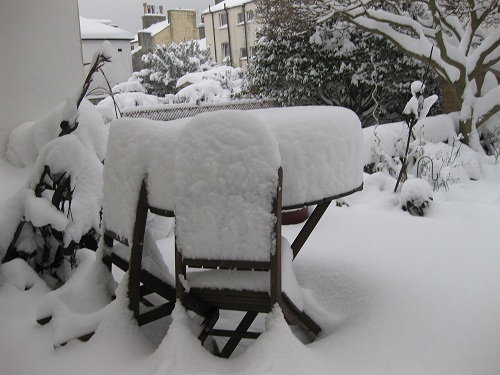 What a wild winter last year, eh? And now it’s the warmest winter on record they say this year. At least we’ve had a bit of rain finally! Hi, it was a crazy time! But finally as you say some rain, but it came with wind so all the cannas are now on the ground, and I need to go an check on the greenhouse, I just hope we get some more rain we need it so badly! I remember your snow last year. We were one of the first flights in when the airports opened back up on our way through to Munich. 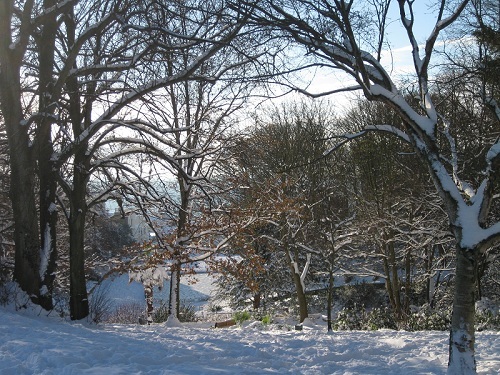 The snow that is currently snowing on your photos is great fun and added another element of delight to your post! Just adore your penchant for subtle humor.